Approval Workflows in Slack are Revolutionary. Here's Why. In any business, there’s always going to be an element of red tape. Even though it can be frustrating, it’s there for a good reason, such as keeping the business on budget or ensuring quality service. A great example of this is approvals. An employee or a customer needs something—like reimbursement or time off—but the request has to move up the hierarchy and be formally approved. Sorting through and assessing requests in a timely manner can be difficult, however, especially if there’s a high volume of them that need attention. Normally, approving requests also requires switching from one app to another—also known as context switching—which can decrease your productivity for hours afterwards. With Workato and a chat app like Slack, you can make the approvals process much less frustrating for everyone involved. It might not sound like much but being able to submit, view, and approve requests without leaving Slack can be a game-changer for every employee regardless of their team or department. Here are seven reasons why approval workflows in Slack are truly revolutionary. 1) They improve the employee experience—from vacation time to expense reports. Approvals are frequently required for common employee requests such as time off, expense reimbursement, and supplementary training. Bringing the approvals process into Slack makes it much simpler to receive and process these requests. 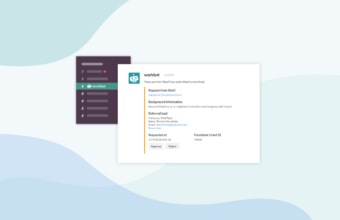 Using Workbot for Slack, you can ensure that request notifications are sent to the right channel or person so that they’re always looped into the latest requests. The approver can then say “yes” or “no” directly from Slack, and the response is automatically recorded in the right app. Slack approvals aren’t just easier for approvers, though; they’re also easier for requesters! With features like drop-down menus and buttons, it’s simple for employees to submit requests without ever leaving the chat app. Not only are the requests logged in the relevant app—such as Expensify or Workday—but the right approver can be notified immediately via a DM or dedicated channel. 2) With approval workflows, your sales team can close more deals, more quickly. When sales deals are being closed, there are often price adjustment requests. These requests must be handled quickly, as they can be the difference between a new customer or a Closed Lost opportunity. Bringing these approvals into Slack is a creative, efficient way to streamline the process. For example, the #1 enterprise collaboration tool uses Workato and Workbot to securely approve price adjustments inside of Slack. A group of managers must approve all of these requests and they wanted to be able to easily approve or reject without logging into Salesforce or flooding their email inboxes with request notifications. Now, sales reps from can request certain deal terms in Salesforce from Slack. Workbot puts those deal terms into the correct Salesforce account and triggers a price request. The request goes to a specific Slack channel. A manager clicks “approve” or “reject,” and it’s a done deal! 3) Approval workflows make it easier to deliver personalized customer service. 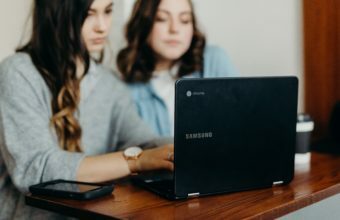 If your business offers tiered support packages that include a certain number of hours of support, it’s not uncommon for a customer to need extra assistance that isn’t covered by their plan. It’s important to process these requests quickly because it can have an impact on KPIs like Mean Time to Resolution and churn rate. With approval workflows in Slack, support agent can request approval for that additional support via their ticketing app, like ServiceNow or Zendesk. The approval message then posts to the correct Slack channel, where support managers can review it. If they approve the request, it’s automatically marked as such in the support app. The agent never has to leave their service app and the manager never has to leave Slack. 4) Approval workflows make IT approval requests faster for the requester and the IT team. One of the IT team’s most crucial roles is providing access to apps and programs (also known as provisioning) and supplying the correct hardware to employees. To ease the workload, many IT teams use help desk apps like ServiceNow. It can be tedious, however, for managers and employees to log into ServiceNow every time they need to submit a service request since their daily work is done in other applications—like Slack. With Workbot, you can automatically submit—and approve—IT service requests without ever leaving the chat app. Employees can initiate service requests from Slack using a simple command and use drop-down menus to select the item or app they need access too, along with the level of access they need if they’re requesting permissions. When they submit the request from Slack, Workbot will create the request in ServiceNow. 5) Approval workflows can streamline order fulfillment with your CRM and ERP. Customers satisfaction is always paramount. You want to get them the right product, on time—with minimal hassle on the back end. If you routinely offer custom products or prices, however, there are probably quite a few people involved in the process of selling and delivering the goods. You can minimize the human work needed with an automated approval workflow across your CRM (such as Salesforce), ERP (like NetSuite), and Slack. When a Salesforce opportunity is marked as Closed Won, the Workato automatically enters the information into NetSuite as a pending order. Then the recipe sends an approval message to the correct person via Slack, who can securely approve or reject it from Slack. Their approval is automatically recorded in NetSuite, kicking off the order fulfillment process. With Slack and Workato, you can even automate custom contract approvals. Normally, these would require constant communication between the prospect, the rep, and managers higher up the chain of command. 7) With Workbot, all your approvals are 100% secure. Bots are really useful for approvals, but as with any new technology, there will always be concerns about security. After all, you want to make sure that only authorized employees can approve or reject requests. Workbot uses a patented technology called Verified User Access (VUA) to make sure the person who is acting is qualified to take this action. This ensures that sensitive activities are not carried out from Slack by unqualified people. And Workbot is the only Slackbot that has VUA—so it’s the clear choice if you’re concerned about security.